Solberg (2012). Medium [18" tall x 40" wide]. Flowers mid to late season. 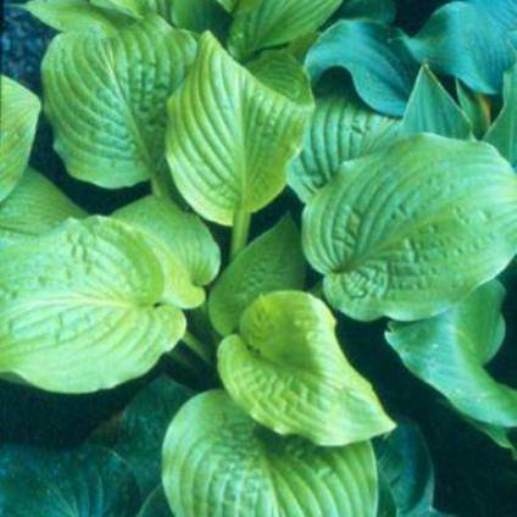 Hosta 'Honey Pie'. The result of 'September Sun' X H. plantaginea; the honey colored, ruffled foliage develops purckering with age. Fragrant flowers, fast growth rate and excellent sun tolerance make it a "must-have"!